J is for Just when you think you know what’s about to happen, something else happens! You see, today I wasn’t going to write a post at all. I was going to write it tomorrow, or cram two in on Monday. That’s because TODAY I’m supposed to be moving house. We’ve been staying with family since we moved to the UK and a few weeks ago we sorted out an apartment, and TODAY is, correction ‘was’, our moving day. After lunch yesterdat I got a call to say there was a problem, and to make a long story boring, there were numerous phone calls and emails all culminating in us NOT moving into our apt. So as I type, almost everything I possess is packed away, my bed is stripped of all but a mattress cover (I suppose I should be grateful it hasn’t been taken apart and put in a van). All the stuff that was upstairs is now downstairs filling the hall and the music room of this lovely house we’ve been staying in. And I’ve no idea when we’re moving. It’s definitely not the way I’d have done this! My fave verse from the old hymn, God Works in a Mysterious Way, by William Cowper. 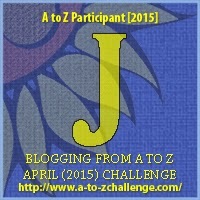 We take tomorrow off from AtoZ – am hoping to catch up on my reading of other blogs. Bless your heart! What a frustrating situation! Your attitude is great! I like William Cowper, too, and Isaiah 55. I like to read that chapter line by line at times that I needing reminding of the Lord’s grace. Thanks Theresa. Still waiting for a phone call this morning… 🙂 Hoping I can keep the chin up! Do hope it all works out. I find myself strangely drawn to your blog. Strangely, I say, because I am an ex-Christian who is not looking to go back. But I appreciate your writing, and am very much enjoying your A to Z posts. Hello! How are you doing? I have missed your posts in the A-Z Challenge, but I remembered that you had a lot going on with moving and everything. I am praying for you. Congrats on the move! We had the same wifi problem when moving to our new home – and thanks God the technicians do their work in just 1 month, gosh!